WASHINGTON — The JFK Centennial is in full swing at the Kennedy Center, marking President John F. Kennedy’s upcoming 100th birthday on May 29. 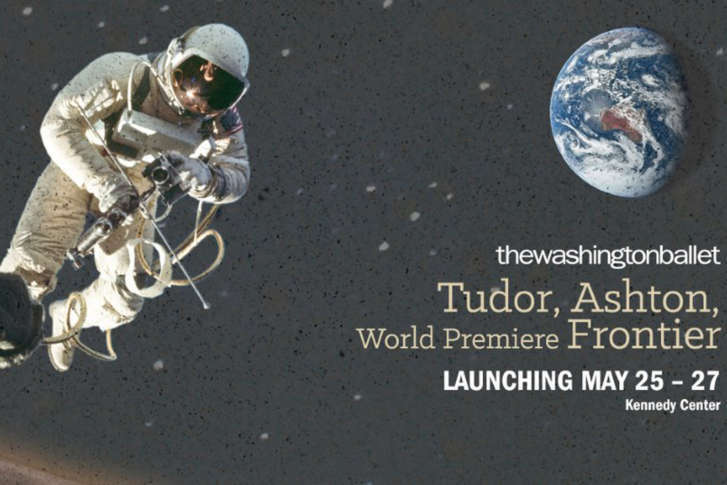 So for an aspirational president who declared, “We choose to go to the moon,” what better way to celebrate his legacy than with a ballet about the space race in the very venue that bears his name? The Washington Ballet presents “Frontier” from May 25-27 in the Kennedy Center Opera House, marking Julie Kent’s first commissioned work since taking over as TWB artistic director last year. So, Kent shot for the moon and called renowned choreographer Ethan Stiefel, who’s danced with all the great ballet masters and even appeared alongside Kent in the dance movie “Center Stage” (2000). Stiefel quickly began brainstorming ideas for potential themes for the JFK Centennial. He quickly began doing his research, meeting with experts in the space travel industry. What exactly is that narrative arc? Indeed, the idea of space travel provides plenty of possibilities for ballet movements. As for the visual look, scenic designer Dmitrij Simkin combines animation, rear and front projection, as well as string curtains that you can project through to create different textures and dimensions. Best of all, the costumes are designed by NASA contractor Ted Southern at Final Frontier Designs. It’s all backed by Adam Crystal’s music, conducted by Martin West of Washington Ballet Orchestra.